It gives us great pleasure to be able to bring to you the 2018 DANA NZ Forest - Wood Products Conference & Field Trip in and around the Taupo Region in early October. This follows on from several previous DANA NZ conferences, including a very successful (and over subscribed) pre-conference field trip in Rotorua last year. Sunday 30 September - Optional Pre-event Boat Adventure: Join us and cruise Lake Taupo on one of Chris Jolly Outdoors charter boats for trout fishing, claybird shooting and a buffet dinner. This is a great way to enjoy some of what the Taupo region have to offer, and to network - on a "lazy" Sunday afternoon. Monday 01 October and Tuesday 02 October (AM) - Conference: We have expanded this out to 1 days this year. Given the change in government and a serious re-focus on forestry and the forest processing sector, we thought it timely to provide a theme for this year's event: Does the NZ Industry Have to be World Class to Compete in the World? We already have almost 95% of the 18 speaking slots filled, and so the programme is able to show these, even as we launch the website. With previous conference organisation experience, we have been able to further refine our programme to attract a wide ranging audience - from selected important political figures, to forestry and wood processing presentations, and including specially interesting panel slot, where we have persuaded wine, kiwifruit and avocado industry leaders to share their views on what it takes to be or become "World Class". We also have presentations by leaders in non- direct forest sector positons (e.g. a geothermal power company and a port) which are so important to our sector. 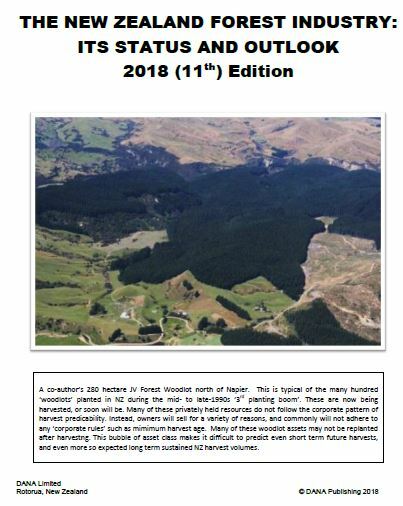 The 11th edition of the New Zealand Forest Products Industry Review is now available. This Review has become an important tool for everyone involved/interested in the N.Z. forestry and forest products industry. The 143 page Review includes profiles of 46 forest owners (3,000 to 200,000 ha), 57 sawmills, all NZ wood panel /Engineered Wood products, and all pulp & paper mill owners. The review includes 77 Tables and Charts. It also provides summaries of our conclusions in the 2004 and 2010 editions; and with full conclusions in our 2010 and 2016 editions - to compare with our 2018 conclusions. 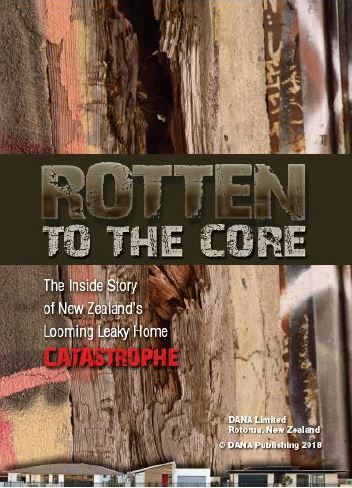 The inside story of New Zealand's looming leaky home catastrophe. - What caused most of the carnage? - Who tried to stop the Rot? - Who ignored their pleas? - Who covered it up? - Why is New Zealand still in denial?